Last night we went to hear Nic Butler from the Charleston County Public Library talk about the first appearance of the bicycle in Charleston. 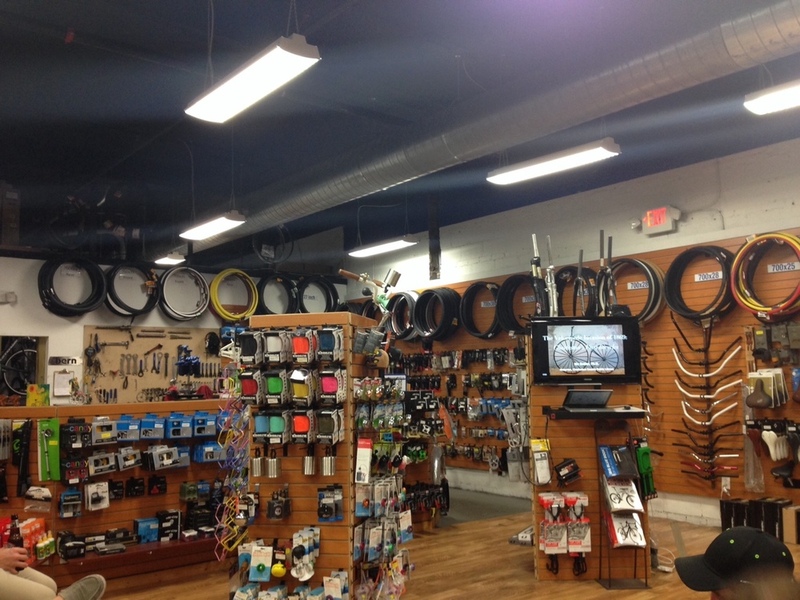 It was hosted at Affordabike with free pizza from D'Al’s, beer from Palmetto, and gear giveaway from Bike Law. I imagine Nic’s life being like a never ending Wikipedia wormhole. He was so enthusiastic about his research and the things he found were nothing short of hilarious. The velocipede was the it thing In the newspapers in Charleston for months. Before reading the daily headlines about the velocipede to us, the speaker gave a little history of the invention starting with France. I left the lecture wondering why we don’t write using the same language in newspapers anymore. They used terms like “bi-legged” for pants and “feed-less horse” for bicycle. It was incredible! I also won a pair of arm warmers from Bike Law! Nic put on a great presentation. I can’t wait to hear more from him now that we know he keeps a blog at charlestontimemachine.org I also hope Affordabike does more events like this one! It reminded me of some of the lectures I listened to at Bike! Bike! Southeast! a few years ago.